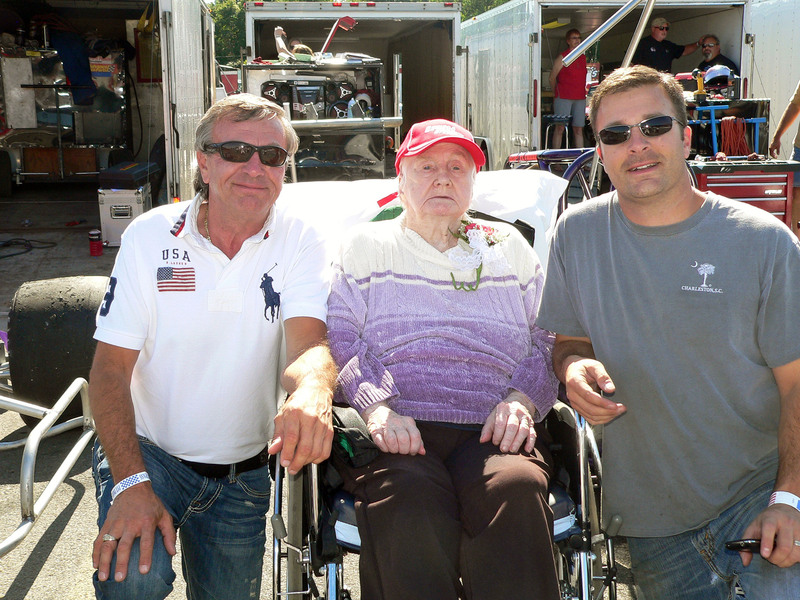 Pictured at a recent visit by residents of Michaud Residential Health Services to the Oswego Speedway is (left to right) host Patrick Furlong; his mother and Michaud resident Velma Johnson; and Oswego Speedway driver Greg Furlong. FULTON â€“ Residents of Michaud Residential Health Services in Fulton journeyed to Oswego where they got to spend an afternoon at Oswego Speedway. Residents watched a practice session up close and got a chance to meet with some of the drivers. The visit was hosted by track co-owner Patrick Furlong, who made everyone feel welcome and all the Michaud residents in attendance agreed it was a day to remember! The event was hosted by track co-owner Patrick Furlong and was a big success with residents, who watched a practice session, met drivers and received Speedway memorabilia as part of their outing. The Oswego Speedwayâ€™s International Classic Weekend begins Friday, September 3rd!